I'm having new windows installed. Yesterday they replaced all the windows upstairs - they will do the ground floor on Monday. 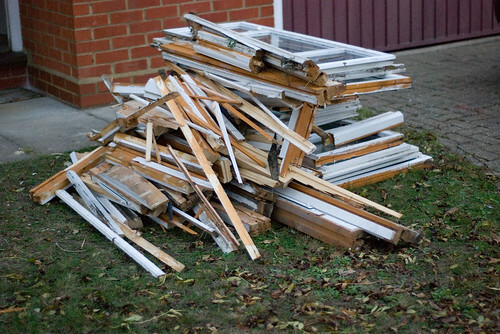 The work they have done so far seems to be good quality, but I was a bit annoyed that they have left this pile of old windows in the front garden when they left.